David and Tamela Mann have been married for 30 years, but the singers, actors, and entrepreneurs are just as, if not more than, happily in love as they were in the early days of their relationship. In their new book, the couple will relate the story of their first encounters as teenagers, the importance of communication, and how they've been able to keep that spark burning through all these years. 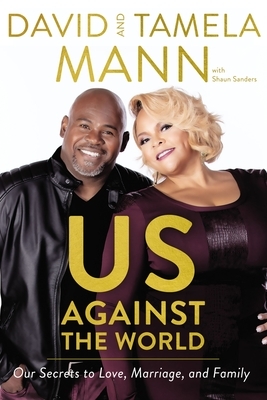 The Mann's have delighted and inspired audiences through music, a string of plays and movies, as well as several television series--Meet the Browns, The Mann's, and Mann & Wife. They'll share about their often hilarious and sometimes controversial interactions with each other, their blended family of five grown children and eight grandchildren, and how these relationships enrich their lives. Given their recording careers, touring, filming, and managing an outrageous family, The Mann's will share with readers the day-to-day challenges, successes, and joys that happen behind the scenes.